NEVER LET A CORD HOLD YOU BACK. 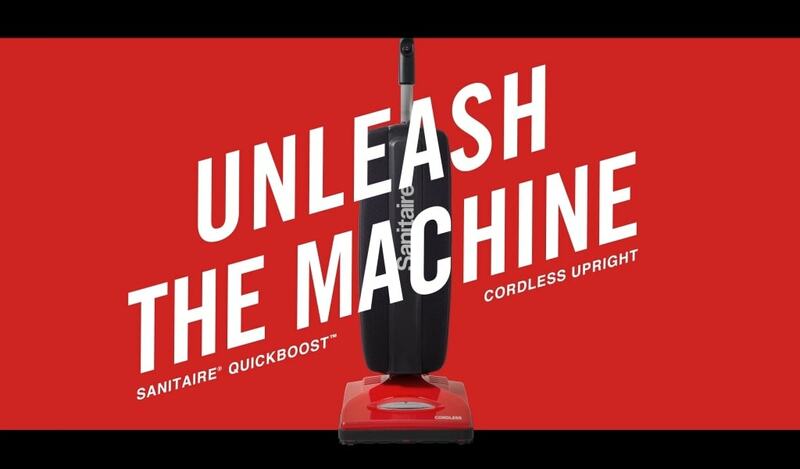 Meet the new QUICKBOOST™ Cordless upright. No annoying cord management. No outlet restraints. Just untethered cleaning power in your crew’s hands. 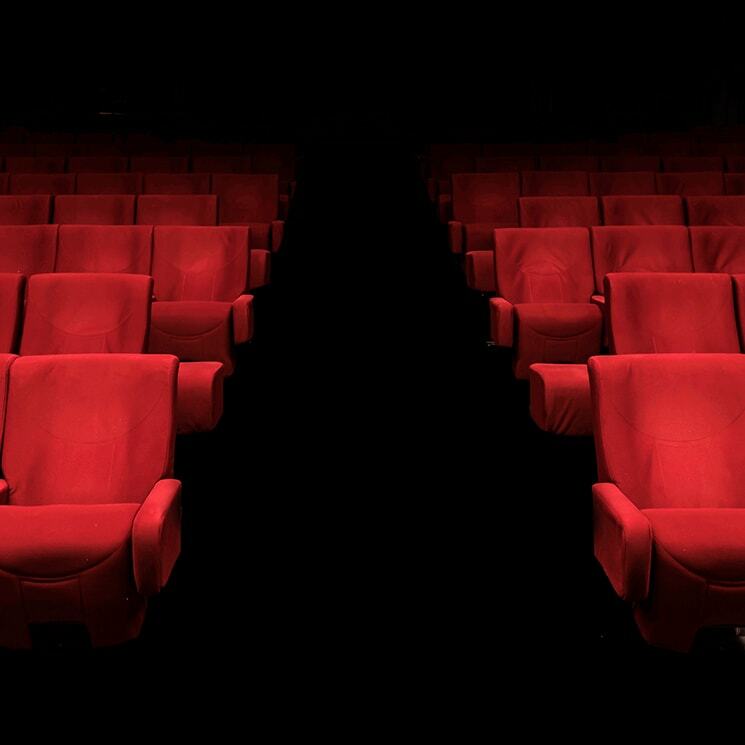 Down impossibly long hallways, in dimly lit elevators, where the stairs go on forever—dirt, dust bunnies and debris stayed safely out of reach. Until now. The QUICKBOOST™ leaves no frightful mess around to haunt your guests. Last-minute mess? No problem. Lightweight, portable and lightning fast, the QUICKBOOST™ gives your crew the power to jump right on it. 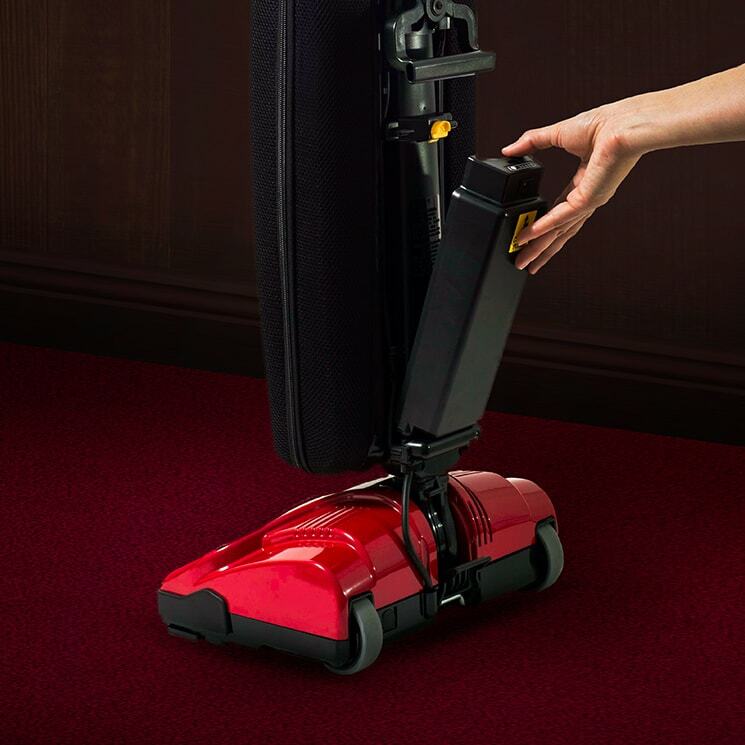 With up to 50 minutes of strong, consistent power, your crew can touch up all the tricky spots before having to recharge. More features that make the QUICKBOOST™ fierce. Get the QUICKBOOST™ on your side and leave the tangled mess behind.